Tuff Stuff Washrooms provides durable, stainless steel and vandal resistant products for bathrooms. Ideal for public and school bathrooms to minimise costs and damages. Protect your washroom fittings and amenities from vandals. Protect your bathroom fittings and accessories from vandals with our secure and resistant stainless steel designs. 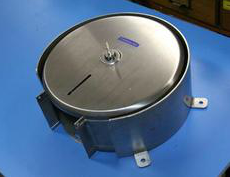 Vandal proof guards for toilet paper dispensers and soap dispensers. Secure toilet roll holders- Available for jumbo, twin, single and interleaf toilet rolls. Lockable, stainless steel toilet roll holders. High quality metal soap dispensers with 1200mL volume. Vandal resistant and stainless steel design. Bathroom accessories and fittings. Ideal for public and school toilets. 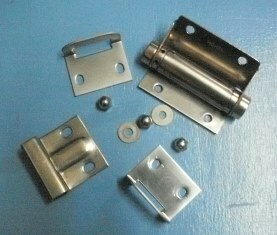 Indicator locks, bathroom signs, latches, bin weights, shelving and more. If you have questions or wish to chat to an expert. Fitting service available In the Sydney and Blue Mountains region.